Sperry Commercial today announced the successful closing of Glendora Park Place Apartments in Glendora, CA, for $14,500,000.00. Frank Dinari, of Sperry Commercial, represented the out-of-state Buyer, and Peter Hauser, of Berkadia Real Estate Advisors, Newport Beach, represented the Seller. 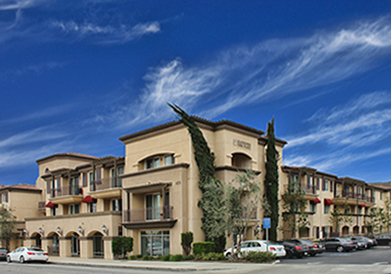 The Glendora Park Place Apartments is a mixed use, 50-unit apartment community that also comprises 7,919 square feet of retail within three retail spaces. Built in 2006, the community sits at the Northeast corner of Forestdale Avenue and Route 66 in the City of Glendora. Residents enjoy convenient access to local colleges such as Citrus Community College and Azusa Pacific University, both within a half-mile distance, as well as retail shopping and entertainment. The community is also located in close proximity to the future Glendora Metro Gold Line Station (light rail). “The sale closed within 35 days, and at a 100% occupancy level,” said Frank Dinari, Senior Vice President at Sperry Commercial. “We competed with four other offers and were able to remove all contingencies within 15 days to close the deal. The property’s Class A designation, ideal location and potential rental upside, make it a superior investment opportunity for my client,” Dinari said. Sperry Commercial is a privately owned, full-service commercial brokerage firm offering comprehensive acquisition, disposition, exchange, leasing, and consulting services. Together with Sperry Equities, the company provides a full menu of services including strategic equity investment, asset management, property management, and construction management to owners, investors, and institutional clients nationwide. Sperry Commercial and Sperry Equities are headquartered at 18881 Von Karman, Irvine, CA.